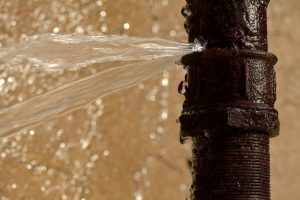 Professional Plumber | Reliance Plumbing Sewer & Drainage, Inc.
Minor Clog or Major Plumbing Issue? Have you noticed a seemingly minor clog somewhere in your home? Maybe your kitchen sink drain is a bit sluggish. Or perhaps you noticed your toilet bubbling while using another plumbing fixture. 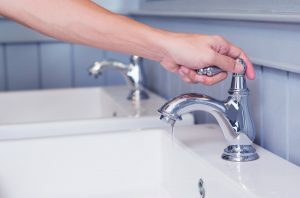 Your first instinct may be to go get some of that liquid drain cleaner you can buy at pretty much any hardware store, and solve your problem that way. Unfortunately, not only is this only a temporary solution, but it can also actually damage your plumbing. 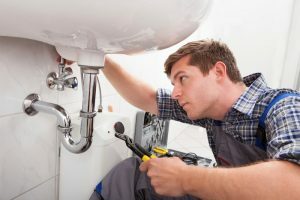 Additionally, if it’s not a minor clog as it may seem, and you actually have a more serious plumbing issue progressing, then you may be delaying repairs that could have prevented a huge plumbing emergency later on. The best thing for you to do to prevent minor clogs and major plumbing issues is schedule routine Glenview, IL drain cleaning services. Even outside routine service though, there are signs that are good to be aware of so you can call for drain cleaning before the problem gets too advanced. Posted in Plumbing | Comments Off on Minor Clog or Major Plumbing Issue? Should You Be Concerned about Frozen Pipes? If you’ve lived through even one winter around here, then you know how bitterly cold it gets. With that drop in the temperature comes an unfortunately common winter enemy—frozen plumbing. And, frozen pipes can result in a good amount of damage if not addressed. As water in your pipes freezes, it expands and puts pressure on the walls of the pipes, leading to leaks or even ruptured pipes. 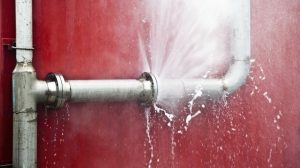 To protect your plumbing from this fairly common wintertime problem, there are a few steps you can take. Read on the learn more about what you can do. And if you discover any issues with your plumbing as we progress into fall and approach winter, be sure to contact a professional plumber in Des Plaines, IL, such as any member of our team! Posted in Plumbing | Comments Off on Should You Be Concerned about Frozen Pipes? Plumbing problems are likely something you’ve dealt with before in your home, and hopefully were able to resolved quickly and affordably. Unfortunately though, this is not always the case, as plumbing fixtures are mostly hidden from view and it can be hard to detect when something is wrong. When this happens in your commercial building or business, then the problem is amplified even more. A commercial plumbing problem means a huge inconvenience for you as a business owner, and potentially even a costly business interruption. This is why when you do have a problem, you contact a professional plumber in Evanston, IL who specializes in commercial plumbing.